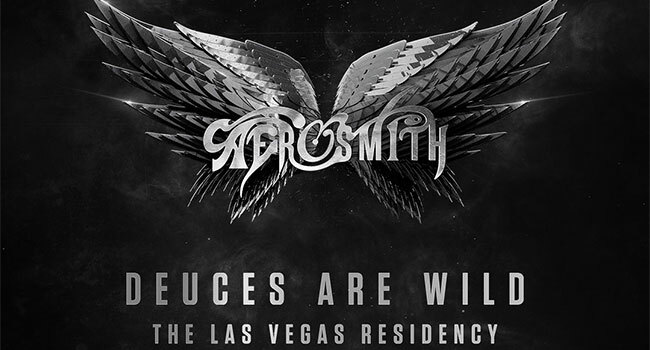 Due to extraordinary demand, Aerosmith has announced 17 additional dates for their Las Vegas residency at Park Theater at the new Park MGM resort. America’s all-time top-selling rock ‘n’ roll band will launch Aerosmith: Deuces Are Wild Saturday, April 6th, with several of their 18 previously announced shows already sold out. Aerosmith has teamed up with veteran show director Amy Tinkhim (Paul McCartney, James Taylor), show producer Steve Dixon (Guns N’ Roses, Justin Timberlake) and GRAMMY Award-winning producer Giles Martin, known for creating the soundscape for The Beatles Love by Cirque Du Soleil in Las Vegas. Also joining the creative team is production design studio Fireplay and international special effects studio Pixomondo, known as the visual wizards behind Game of Thrones. The show is set to be the band’s greatest spectacle in their stunning 50-year history. With the new dates comes another exciting way to experience the Vegas extravaganza with the addition of the world’s first THX-certified On-Stage VIP Section. Fans purchasing tickets for this On-Stage VIP Section will be able to join Aerosmith in their exclusive VIP Bar area, featuring an unparalleled onstage vantage point seated in the middle of the action. Fans will also have, for the first time ever, privileged access to studio-quality audio direct from the Aerosmith mixing board via MIXhalo audio technology through their own pair of THX Certified 1More Triple Driver in-ear headphones. Ticket holders for the previously announced set of dates will be offered the first opportunity to upgrade to the On-Stage VIP experience for their respective show date. Members of Aerosmith’s Aero Force One paid fan club will receive access to an exclusive pre-sale beginning Wednesday, February 13th at 9 am PT. Citi is the official pre-sale credit card of Aerosmith’s residency at Park Theater. As such, Citi cardmembers will have access to purchase pre-sale tickets beginning Thursday, February 14th at 10 am PT thru Citi’s Private Pass program. M life Rewards loyalty members as well as Live Nation and Ticketmaster customers will receive access to a pre-sale beginning Friday, February 15th at 10 am PT. All pre-sales end Friday, February 15th at 10 pm PT. Tickets starting at $75 go on sale Saturday, February 16th at 10 am PT. VIP packages and on-stage seating will also be available. Tickets can be purchased at all Ticketmaster outlets or online. All shows are scheduled to begin at 8 pm.